Tips and tricks for troubleshooting a Serial ATA or ATA/IDE internal drive that is not detected in the BIOS. Note: Sections 3, 4, 5, and 6 pertain to PC or Mac systems. Sections 1 and 2 pertain only to PC systems. For more detailed step-by-step troubleshooting on this topic, please see the Seagate Serial ATA troubleshooter “Drive Not Detected” section. After verifying that your ATA or SATA port is set to Auto-Detect or is enabled, if you find that your disk drive is not being detected (auto-detected) by the system BIOS, try the following steps to try and isolate/troubleshoot the problem. Most personal computers display a brief message about entering System Setup soon after the power is turned on. 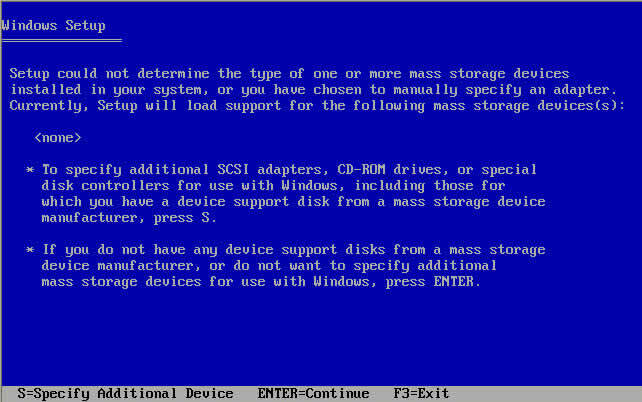 System Setup is also called the “system BIOS” or sometimes the “CMOS Setup” – each is a name for the same thing. 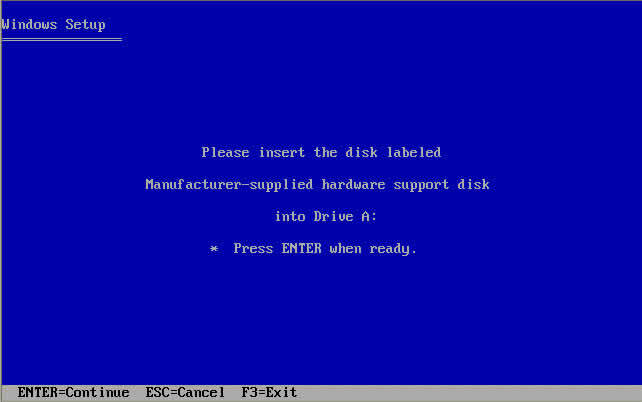 For example, on Dell systems you will see “F2=Setup” in the upper right hand corner during the computer boot-up. This means to press the F2 key to enter Setup (the BIOS). Different computer manufactures have different methods to enter Setup, so please check your system documentation for specifics. Also, this link can be useful. System setup is where the date and time are stored and where startup preferences like NumLock or Passwords are defined. In addition, many hardware settings are defined in System Setup. In particular, hard disk drives are often controlled here. At the simplest level, hard drives are numbered in Setup as Drive 0, Drive 1, etc or sometimes as Primary Master, Primary Slave. Which ever way these are named, they have a basic ON / OFF setting (sometimes AUTOMATIC or something similar). If your drive is not detected it may be because it is turned OFF in System Setup. In most cases, the boot drive is Drive 0 or Primary Master. When you add a second drive to the system, it may be need to be enabled by turning it ON in System Setup. The Serial ATA motherboard drivers are not properly loaded (especially in Windows XP/2000). Insert the Windows XP/2000 CD/DVD into the CD/DVD drive. Mount and connect the Serial ATA hard drive. For some add-in SATA controller cards, you will need to press the F6 key to install drivers as the Windows setup screen launches. To be able to hit the F6 button, you must restart the Setup process, and watch the bottom of the screen after pressing Enter on the “Welcome to Setup” screen. There will be some moments of files being loaded, and then you should see a message appear that says “Press F6 if you need to install a 3rd party SCSI or RAID driver”. This message will only stay on the screen for a couple of seconds, so press F6 as soon as you see it appear. After you press S, the driver install process will continue and the floppy diskettes will be needed. Further instructions will be furnished after the driver install process has ended. Insert the floppy diskette containing the drivers for the add-in Serial ATA controller. Once the drivers are loaded, proceed with the normal Windows XP/2000 installation. For the hard drive to be detected in a new installation, the drivers for the add-in SATA controller/motherboard must be loaded at the beginning of installation. The drivers for the controller/motherboard can probably be found either on the CD that came with it or on the manufacturer’s website. These drivers do not come from Seagate; they come from the motherboard manufacturer. Simply load the required drivers on the diskette and have it ready. Always inspect the motherboard and hard disk connections for bent or misaligned pins. Folding, crimping, pinching, or creasing data cables can cause the wires to break inside the insulation, leaving the exterior of the cable looking normal. When in doubt of data cable condition, replace it. For SATA cables, Seagate recommends using cables shorter than 39.37 inches (1 meter). For further information, please see Document ID: 182453. Here are some images of Serial ATA cables. Click to expand. The BIOS will not detect a hard disk if the data cable is damaged or the connection is incorrect. Serial ATA cables, in particular, can sometimes fall out of their connection. Be sure to check your SATA cables are tightly connected to the SATA port connection. The easiest way to test a cable is to replace it with another cable. If the problem persists, then the cable was not the cause of the problem. 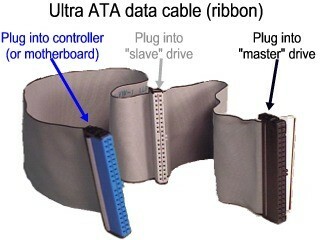 For ATA drives, Seagate recommends using UDMA cabling with a maximum length of 18 inches. UDMA cables have color coded connections which require proper orientation when connecting. Blue connector – always connects to the motherboard. Grey (middle) connector – is used for slave devices on the cable. 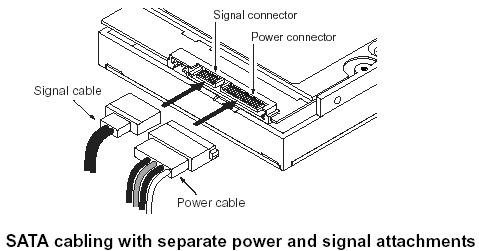 Black connector – is used for master device connection. 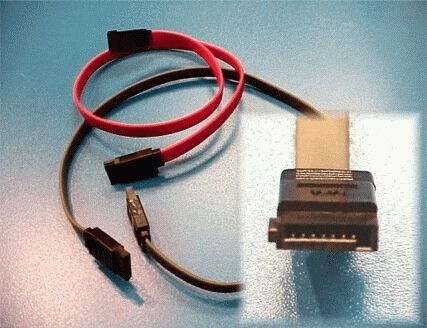 Switch power cables with a device like a CDROM or DVDROM drive, so that you are using a known-good power cable. Connect the drive in a SATA-USB enclosure or something similar if possible. If the drive does not spin up after all of these steps, please visit the Warranty page to begin a warranty replacement order. 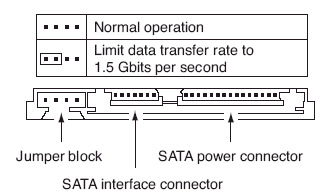 Serial ATA: If you have a 3.0 Gbit/sec SATA drive that is not being detected by your 1.5Gb/sec SATA controller, or it causes your system to lock up when connected to a 1.5 Gbit/sec SATA controller, you may need to jumper your 3.0 Gbit/sec SATA drive to the slower speed of 1.5 Gbit/sec for the system to recognize it properly. 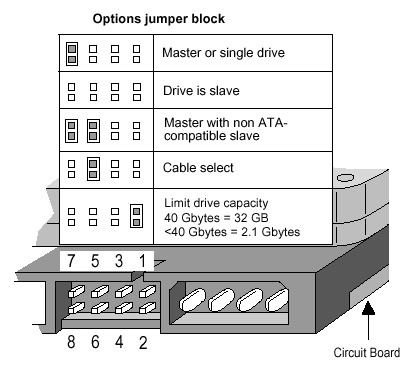 ATA: It is recommended that all Seagate ATA hard disks supporting the Cable Select jumper option be configured as Cable Select. If your computer system was built prior to October 1998 and does not support UDMA 66 or greater you will be required to use the Master/Slave jumper settings. When using Cable Select jumper settings on your ATA drive, all devices connected to the UDMA cable must also use the Cable Select setting. The cable decides master/slave device detection when the cable select jumper settings are used. Faulty Hard Drive If you have completed the above checks and procedures and the drive is still not properly detected, please attempt to use SeaTools for DOS (see the tutorial here) to test the drive. If SeaTools does not detect the drive after the steps followed above, or an error code that signifies drive failure displays, please proceed to the our Warranty Services page to begin a warranty replacement order.